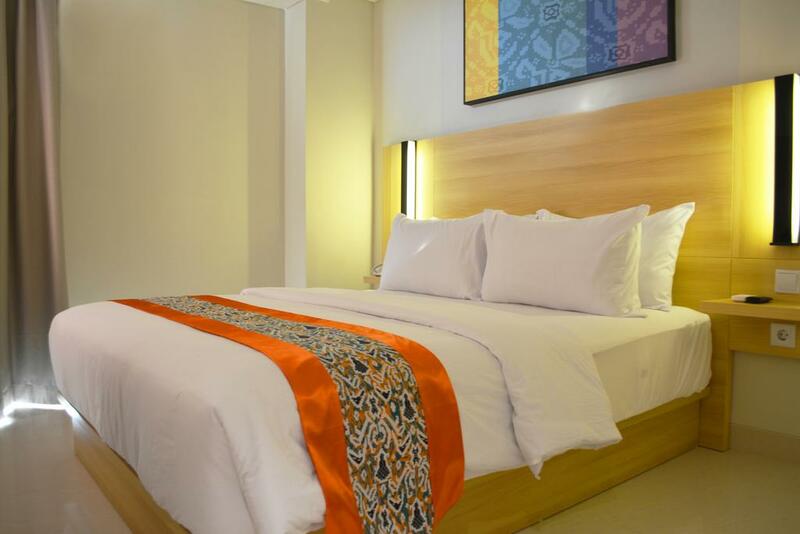 The newest Sahid Hotels & Resorts conveniently located in the heart of Pangkal Pinang, near from the capital city, leisure, tradition heritage, and hospital. 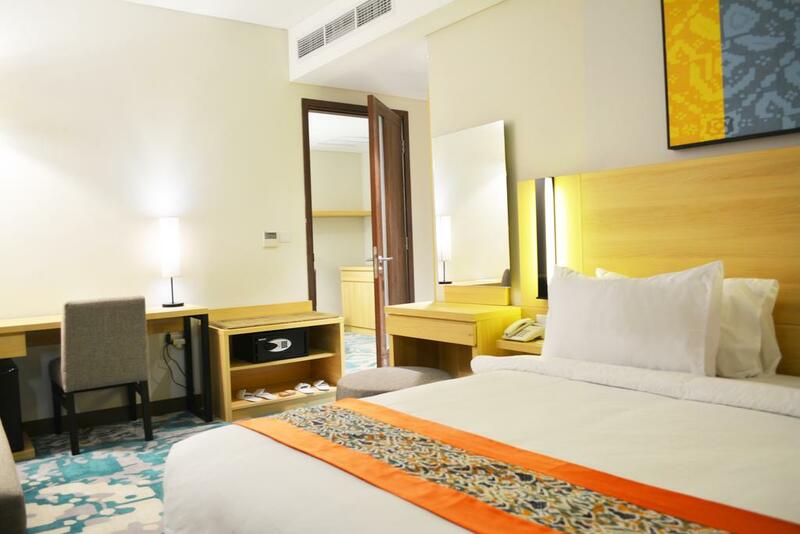 The hotel is located only fifteen minutes drive from Depati Amir Airport, short drive to Girimaya Golf Course, several beautiful white sandy beaches like Pasir Padi Beach, and Bangka Botanical Garden, making it one of the most trading center in Bangka. 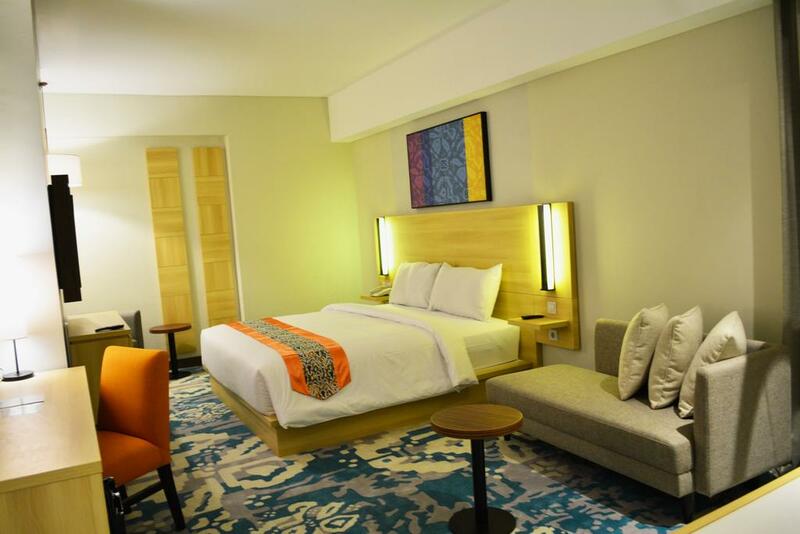 Whether you are on business or leisure, our suites, inspired interior, unique facilities, and amenities will create an unforgettable experience of living in Bangka. Sahid Bangka is blessed with inspiring city views from Skynine Roof Top. Double Dipps Coffee House and Kayumanis All Day Dining are available for you who want to have different experience beverages and snacks. Our facilities will immerse yourself with the outdoor swimming pool on the 3rd floor, pampering and energize your body at Olive SPA and Gym. The romantic wedding chapel becomes a lovely witness to start your life. 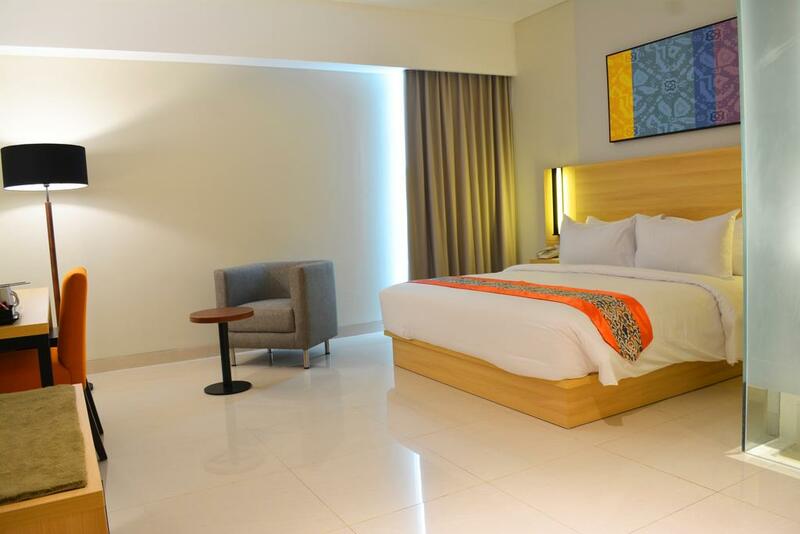 Modern and minimalist room types of 133 rooms from Superior, Deluxe, Executive, Junior Suite, Executive Suite and Presidential Suite including 6 meeting rooms and Parai Grand Ballroom. Meeting, Incentive, Convention and Exhibition for Groups, Couples, Family, and Friends will delight in tradition and modern. Special moment will turn into unforgettable memories here. Sahid Bangka is your idyllic venue in the tropical Bangka Island amidst unspoilt beauty and fine beaches where tranquility and impeccable service are rightly yours to savour. ?? 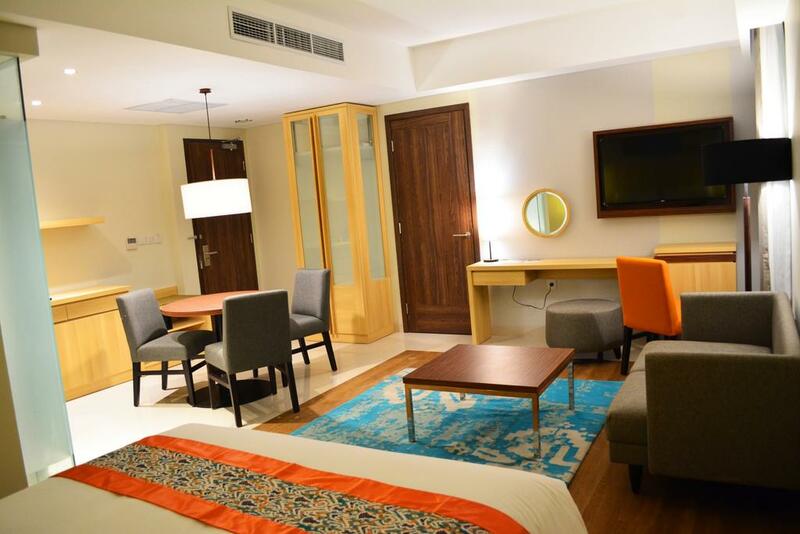 Room amenities: 24-Hour Daily Room Service, Air Conditioned, Tea & Coffee Maker, Mini Bar, Hairdryer, Telephone, Reading light, Slippers, Mineral Water, Desk, Safety Deposit Box, WiFi Internet Access, High-Definition 32“ LED TV including 35 Local and International TV Channels. 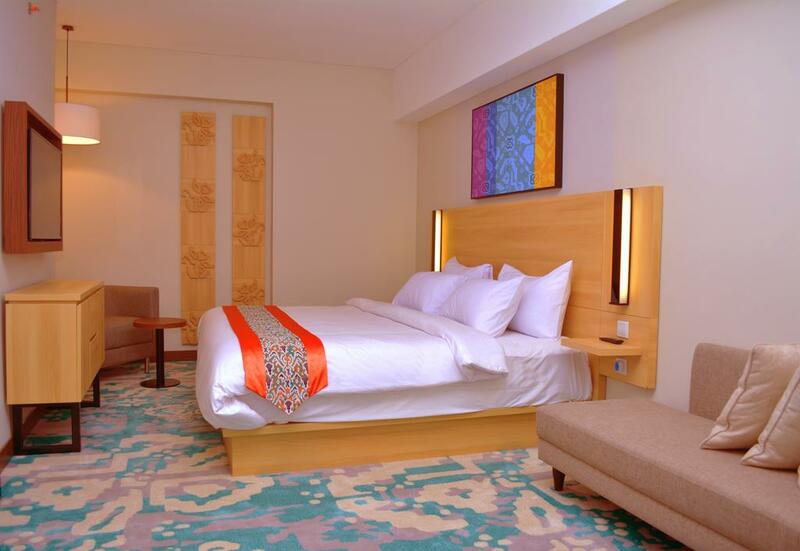 The Deluxe rooms are comfortable rooms, combined between heritage and modern design. Well-appointed rooms available with both twin bed and queen size beds. Room amenities: 24-Hour Daily Room Service, Air Conditioned, Tea & Coffee Maker, Hairdryer, Telephone, Reading light, Slippers, Mineral Water, Desk, Safety Deposit Box, WiFi Internet Access, Bathrobes, Bathroom Amenities, Bathroom with Shower, High-Definition 32“ LED TV including 35 Local and International TV Channels. Junior suite room is designed with every modern convenience and furnished to the very highest standard to let you the ultimate well-being. Room amenities: 24-Hour Daily Room Service, Tea & Coffee Maker, Sofa, Mini Bar, Hairdryer, Telephone, Reading light, Mineral Water, Desk, WiFi Internet Access, Bathrobes, Bathroom Amenities, Bathroom with Shower, Fruit Basket, 42"Flat Screen LED TV. 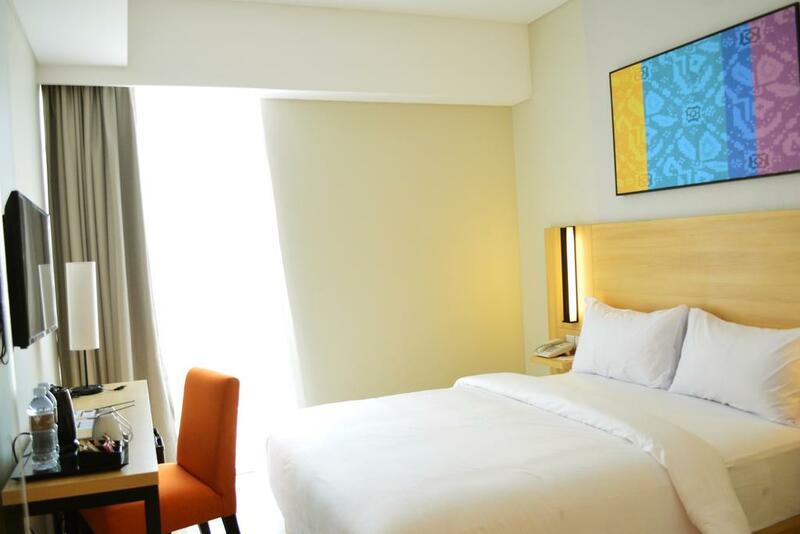 Our Executive rooms are all situated on the upper floors of the hotel 5th floor very suitable for difable. Room amenities: 24-Hour Daily Room Service, Air Conditioned, International TV Channel, Tea & Coffee Maker, Mini Bar, Hairdryer, Telephone, Slippers, Mineral Water, Desk, Safety Deposit Box, Bathrobes, Bathroom Amenities, Bathroom with Shower, Welcome Drink, 42"Flat Screen LED TV. Room amenities: 24-Hour Daily Room Service, Air Conditioned, International TV Channel, Tea & Coffee Maker, Sofa, Mini Bar, Refrigerator, Hairdryer, Telephone, Slippers, Mineral Water, Safety Deposit Box, Bathrobes, Bathroom Amenities, Bathroom with Shower & Bathtub, Living Room, Dining Table, Private Living Room, 2 Flat Screen TVs. Executive Suites, featuring the refined textures of design that come with space, evoke the senses like home. Room amenities: 24-Hour Daily Room Service, Air Conditioned, International TV Channel, Tea & Coffee Maker, Sofa, Mini Bar, Hairdryer, Telephone, Reading light, Slippers, Mineral Water, Desk, Safety Deposit Box, WiFi Internet Access, Bathrobes, Bathroom Amenities, Bathroom with Shower & Bathtub, Living Room, 2 Flat Screen TVs, Fruit Basket.